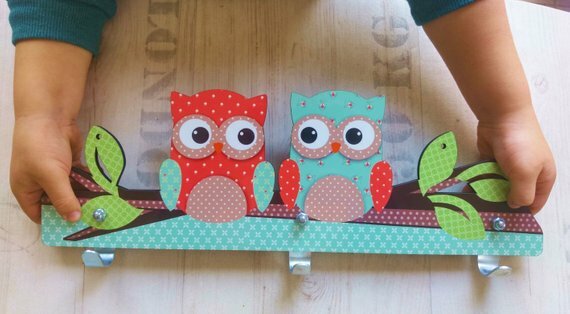 Mint and Coral Owl kids room decor,Functional Hanger for a coat and bags. 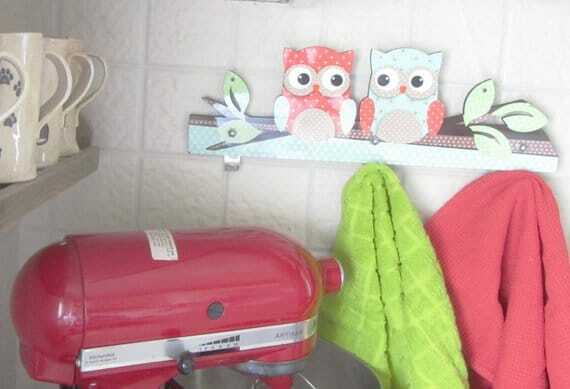 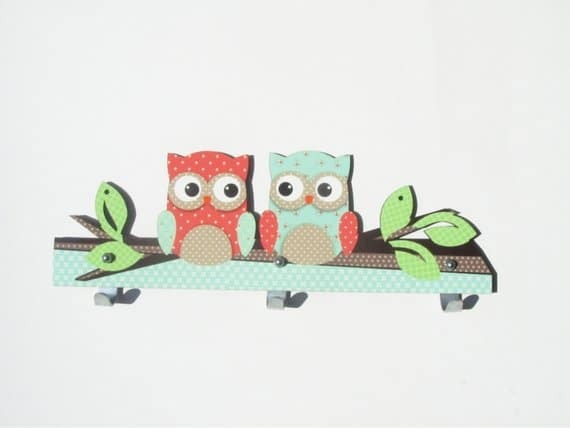 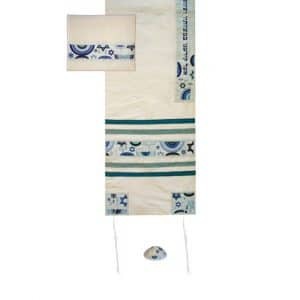 2 owls kid's room hanger for coats or bags. 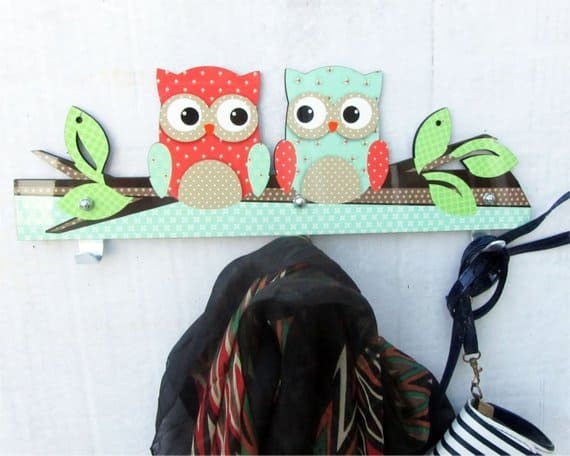 Mint and Coral Owl kids room decor,Functional Hanger for a coat and bags.